Following the much anticipated Supreme Court ruling today on the constitutionality of the federal health care law, the National Restaurant Association expressed disappointment in the U.S. Supreme Court’s decision to uphold the majority of provisions within the 2010 Patient Protection and Affordable Care Act (PPACA), including all of the employer requirements which threaten the economic health of the restaurant industry. Read the NRA’s full statement here. In the coming months, the WRA will work closely with the NRA to make sure Washington restaurant operators have the materials and information needed to comply with the law in minimally disruptive manner. 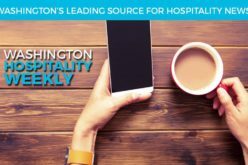 Be sure to keep an eye on Center Plate and Washington Restaurant Magazine for the latest updates. Health plan premiums for employers: So, how much will it cost? In regards to the health care law, restaurant operators often ask two specific questions: what does the law require me to do and how much will it cost to comply with these new requirements? But primarily they want to know what the premium is for a plan they’re now required to offer and how much they can ask their employees to contribute. Read on. The passage of I-1183 in Washington empowers restaurants, hotels and other establishments to purchase directly from manufacturers, a larger group of distributors and an array of local craft distilleries. It’s a time of transition, excitement and even uncertainty for many liquor licensees; but LiquorExchange.org, a new search tool powered by the Washington Restaurant Association, aims to simplify the adjustment phase. Read on. The WRA, together the the Washington Lodging Association, the Seattle Hotel Association and the Hospitality Human Resources Association, is sponsoring a seminar designed to help businesses prepare for the Sept. 1 compliance deadline for Seattle’s paid sick and safe leave ordinance. Conducted by Davis Wright Tremaine LLP, this workshop is tailored to specifically address the unique issues affecting the lodging and food and beverage industries under Seattle’s new paid sick and safe leave (PSSL) ordinance. Register here.